Do I Need a CPA To Do My Taxes? Disclaimer! ElitePersonalFinance don’t give any legal advice. The article is written only to get a basic information on your taxes. We can’t be help responsible for any incorrect activity, that lead you some legal problems. We highly recommend that you get advice from experts when it comes for legal stuff. “There are two things in life that are certain, death and taxes.” If you live in America it is likely that you have heard that saying a time or two. Yet, as cliche or corny as the saying is, it is true—tax season is inevitable and comes around at the same time every year. Filing taxes can be tricky, and therefore you might find yourself asking whether or not you need to hire a CPA to do them for you, or if you can do them on your own. Here are a few questions you can ask yourself that will help you answer that question! Do you feel confident when you file your taxes? When you file your taxes you should feel confident that you have submitted all of the right forms and checked off all of the correct boxes. You should also feel confident that you are paying exactly what you owe, or getting back exactly what you deserve. In December 2017, new tax laws were signed into effect and changed everything. Basic deductions changed for single individuals and married couples and changes were made to common deductions. So, it’s okay if you are left feeling a little bit confused and conflicted about what forms you need to file or which boxes you need to check. However, if you ARE feeling confused that is most likely the first indication that you should be working with a CPA to file your taxes. If you want to check out all of the new tax laws and get a basic understanding of how they will affect your finances, this article by Dave Ramsey simply explains what you need to know. If you are a traditional individual or family that only has one or two W-9 forms to file for your taxes, you are probably safe going after it alone. However, if you had multiple streams of income throughout the year, things might get a little bit complicated. Second streams of income can look like a second job, side hustle, prize winnings, or small side jobs. If there was an instance throughout the year where you made $600.00 or more from a source other than your primary employment you will need to file that income on your taxes. In order to do so, you will need to know what forms to fill out and how to categorize that income. If you aren’t sure how your extra income should be filed, it might be time to talk to a CPA. As a business owner, there are a lot of tax laws that you need to understand that won’t impact a personal tax filing. First and foremost, you’ll need to know what type of business you are taxed as. Did you know that as an LLC you can choose between being taxed as a sole-proprietor or an s-corp? Second, you will need to be aware of your bookkeeping. Keeping your books up-to-date will requiring going through every cash (and sometimes every non-cash) transaction and categorize it appropriately. Broadly speaking, categories are expenses, sales, assets, equity, or liabilities. ZipBooks, is accounting software for sole proprietors and small businesses. Based on our research, sole proprietors (professionally or un-professionally) use 19 categories on average for their record keeping. That grows quickly as the company moves to a small business. Your tax filing and deductions will depend on accurate bookkeeping. Being a business owner is not an easy task, especially at tax season. That is why if you are in business for yourself talking to a CPA is a great place to start understanding what you need to know. And, if you take the time to organize all of your information throughout the year with an online expense management or accounting system the process will be much easier! 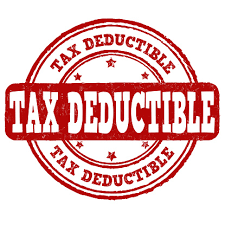 Do you have itemized deductions? You might be surprised to find out that you don’t have to be a business owner to have itemized deductions on your taxes. If you have a mortgage or home interest, made charitable donations, or had extreme medical expenses throughout the past year, itemizing is most likely the best choice for you. If you do think that itemizing your deductions is the right choice for you, you will need to know which form to use; form 1040, 1040A or a 1040EZ. However, if you are worried about choosing the correct form or itemizing incorrectly, give your local CPA a call. CPA professionals are trained to help small businesses file correctly and avoid an audit. 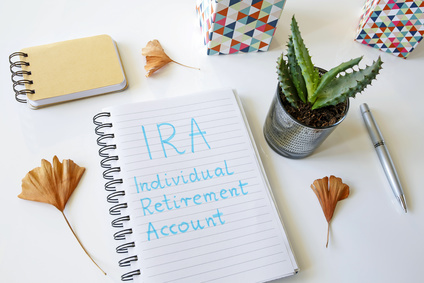 However, if you want to give it a go on your own, the IRS gives some clear direction about what you can itemize and how to do it might be helpful. Would you rather save time or money? The bottom line when it comes to filing taxes is understanding the time it takes to do them yourself or the money that it will cost if you want to have the luxury of someone else doing them for you. To hire a CPA to do your personal taxes you should expect a base price around $175.00. Any additional forms that you need to file or extra itemization will add to that price tag. Most online tax platforms are under $100 for state and federal filings, but they don’t offer the same expertise as a CPA. If you want to take on your taxes yourself and do them right, set aside quite a few hours of free time to get everything organized and filed correctly. In the end, your taxes are responsibility and you need to make the decision that is best for you. Just remember that tax day is April 17. And, whether you like it or not, your tax deadline rolls around every year and the best thing to do is be prepared and file on time! How to Avoid Scam Loans with a “Less Than Perfect” Credit Score? Secured Personal Loans vs Auto Title Loans – Which Are Predatory?